Edited with text by Michel Blancsubé. Text by Tania Aedo, Fabián Arnaud, Luis Alberto Ayala Blanco, et al. 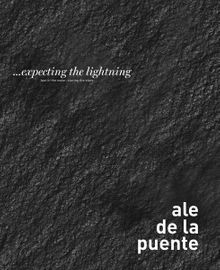 The work of Mexican artist Ale de la Puente (born 1968) mixes science, art, astronomy, anthropology and language to explore concepts of time, space and memory. In the work documented in this volume, the artist reconsiders scientific knowledge of the universe from an artistic perspective. Paperback, 7.5 x 9.5 in. / 144 pgs / 60 color / 30 bw.